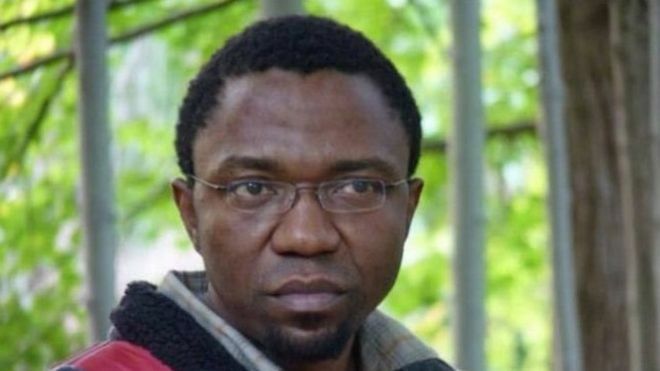 Cameroon- Yaounde: Early this morning, the prosecutor at the Yaounde appeal court ordered for a halt in the legal proceedings against social activist Patrice Nganang. This news was received with mix feelings when it was announced over the National Radio that it was based on the decision by the Minister of Justice Lauren Esso and that Patrice was obliged to leave the country with immediate effect. The news of his release hit the waves of other international media especially based on the reasons for his arrest for allegedly threatening the life of a Long serving Cameroon President Paul Biya. Patrice Nganang was stopped from boarding his flight at the Douala International airport early this month 7th December 2017 until his release today. Nganang Patrice’s hearing was slated for 19th January 2018. Although no reasons were advanced for his release, but the pressure from the international community and his students at New York’s Stony Brook University were associated with the release. This was a strong case of human right violation as the person in question was a human right activist. Nganang who now possesses a dual nationality Cameroon and USA was expelled from his original country Cameroon as Cameroon does not accept double citizenship his lawyer, Emmanuel Simh said. He added that his Cameroon passport was confiscated from him as well. His release has exposed the lawless state of Cameroon where individuals sit and make laws in their offices and private homes and can override the role of the Parliament and Senate. A glaring example in the case with Nganang whose release was instructed by the Justice Minister and not the Court. The same is of Paul Ayah whose case could not get through the court because of the same Justice minister. Worth noting that Nganang’s arrest was linked to his sympathy for the Anglophone crisis that started with the Lawyers and Teachers’ strike October 2016. These same people have deliberately with the sitting president for 35 years in power, the Parliament, the senate vehemently refused to admit and deliberate on the Crisis. The consequences has been the declaration of war against the anglophones whom they now called secessionists and terrorists, the war which has weighed a lot on the regime that has refused to call for an inclusive and sincere dialogue. Expelling Nganang from Cameroon and the seizure of his passport has questioned its fairness as it is alleged that three quarters of Cameroon Ministers and its president all possess a foreign Nationality including players like Samuel Eto, Carlos Idriss Kamene and a host of others. There are a few who have argued that Cameroonians with foreign nationality should not involve in the affairs of the state of Cameroon, but this has been challenged by asking those ministers and politicians with the same portfolios to teach with examples and respect the law they interpret only against the diaspora. One reliable source his asked to be kept anonymous said from Yaounde…” We have seen the Justice minister himself and Roger Milla go to vote at the french Embassy here in Yaounde.” The case of Prince Eyango is still very fresh in their memories. Therefore this action from the Cameroon regime is not only politically dangerous but a big blunder in the diplomatic politics and will come to play against its actions. This entry was posted in Africa, Cameroon, Development, Inspiration, Motivation, Politics, Regions, Social and tagged attack, diaspora, education, fight, flight, history, politics, teachers on December 27, 2017 by Shey.